Neal James began writing in 2007 when a series of short stories found favour on a number of international writing sites. Since then, he has released three novels and an anthology of short stories. ‘Full Marks’, his fifth book in as many years, is a crime novel and a product of a vivid imagination set against a backdrop of exposés dating back to the mid-1970s. ‘Two Little Dicky Birds’, his 2010 release, was a finalist in the prestigious Peoples Book prize of 2012. He is a member of the Crime Writers’ Association, and regular contributor to local newspaper features. As an accountant for over three decades, he has drawn on his background to provide an insight into much of the substance required in the creation of his writing to date. He lives in Derbyshire with his wife and family. 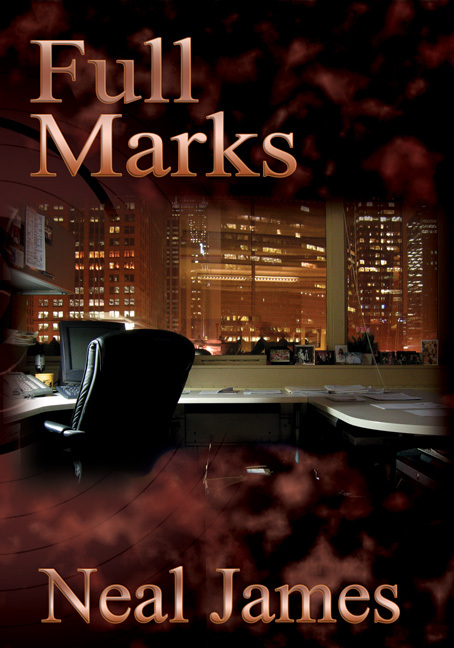 ‘Full Marks’ tracks the fortunes of one of the Metropolitan Police’s finest officers as he tries to clear his name. A raft of accusations, laid before the IPPC, threatens to undermine his career. Powerful forces, ranged on either side of the investigation, are set to determine the course of DCI Dennis Marks’ professional and personal life.